USAID's Andrew Natsios: "Article 53D of the Transitional Administrative Law ... establishes the legal basis for creating an administrative unit explicitly for ChaldoAssyrians." I’m here today mainly to learn from you what more can be done for the Christian community in Iraq and other minority religions and groups - so that they may live and worship in security; so that your needs may be more effectively met; so that your voice is not submerged; so that your rich heritage continues to be recognized in Iraq and becomes better appreciated here; and so that my Agency can better help you contribute to the regeneration of political life in the new country that is coming into being. I am also here to explain the posture of the US government in matters of concern to you, and, more specifically, what USAID has done and is doing to help secure a better future for the Iraq and your people. Attacks by insurgents on Iraqi Christians are a part of a broader campaign to destabilize the country, divide its populations, and incite wholesale violence. For some, death and destruction has become a nihilistic end in itself. But those who equip and motivate the suicide bomber know very well that it is only through chaos that they can achieve their objectives. The insurgency therefore has to be met with force. That is why the US, its NATO allies, and other members of the coalition team are training requisite numbers of Iraqis to meet the task. And it is why sufficient military power to backstop them must continue to be present. The birthing of democracy that we are witnessing will be taking place against this harsh background. That is the reality of things and it will not change over night. But it is also important to counter the hate that the insurgents are trying to spread. This is why it is an encouraging sign that holds promise for life in the new Iraq that the Iraqi Government and other Iraqi religious leaders were so forceful in publicly condemning the attacks against Iraqi Christians. For its part, the U.S. Embassy, Baghdad maintains close contact with many Iraqi Christians, including religious leaders, and continues to monitor their situation closely. The U.S. Department of State has been active in other ways as well. In recognition of the critical need for migration and refugee assistance, State initiated a $70 million reallocation in October, 2004 to augment the already-apportioned $105 million to migration and refugee assistance programs. These programs are providing emergency relief assistance, resettlement assistance, and contingency-building help for quick response to sudden population displacement due to violence or natural disasters. USAID’s Office of Foreign Disaster Assistance (OFDA), the U.N. High Commissioner for Refugees, and the International Organization of Migration are fully engaged in this issue. • Article 13F of the TAL states, "Each Iraqi has the right to freedom of thought, conscience, and religious belief and practice. Coercion in such matters shall be prohibited." • Article 7A states that Islam will be considered as "a" source of legislation, not "the" source, and "guarantees the full religious rights of all individuals to freedom of religious belief and practice." • Article 53D of the Transitional Administrative Law, “guarantee[s] the administrative, cultural, and political rights of the Turcomans, ChaldoAssyrians, and all other citizens.” This establishes the legal basis for creating an administrative unit explicitly for ChaldoAssyrians. I know that Ambassador Zal Khalilzad has weighed in forcefully during recent constitutional debates and, as I understand things, similar freedoms are enshrined in the new blueprint that will go to referendum. Assyrian Music Never Looked So Good! There were several Christian political entities which were certified for the January 30, 2004 elections for the Provincial Government and National Assembly. 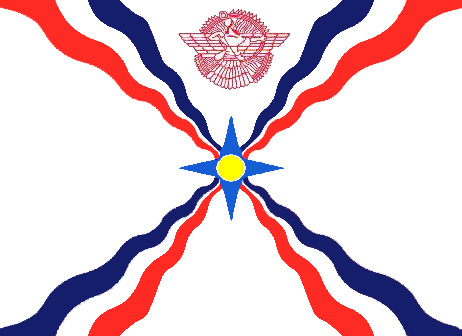 The Assyrian Patriotic Party; Assyrian Independent Gathering Movement; Iraqi Christian Democratic Party; the Assyrian National Gathering, among others. Additionally, the Assyrian Political Council was certified as a coalition. USAID’s election related assistance benefits all political actors by contributing to the development of transparent and credible elections administration. This included the development of a domestic observation capacity to ensure that legitimacy was built into the election process. USAID also supported voter education and election public information campaigns that targeted marginalized or minority groups with educational and motivational messaging. USAID has supported the Constitutional process by facilitating dialogues all over Iraq to gather input and understanding of constitutional issues. In Ninawa’ governorate, 195 such workshops were attended by 5,500 participants. There are 52 voter registration sites in Ninawa’ for the upcoming constitutional referendum and national elections, and the Iraq Electoral Commission has already met three times with sixteen political parties to ensure that they are getting the word out about how to register and then to vote. USAID provides training assistance to the commission and the embassy monitors the commission’s work in Ninawa’. The U.S. Government has taken great care to ensure that Iraq Relief and Reconstruction Funds are equitably distributed to programs assisting all regional and cultural groups throughout Iraq. I want to make clear that USAID does not specifically provide assistance based on ethnicity or religious affiliation. However, we are operating in regions where religious minorities are directly affected. I will confine my remarks to the Ninawa’ Governorate, home to a large ChaldoAssyrian population. • Of 890 megawatts of new power available so far from USAID’s rehabilitation or construction of generation capacity, approximately 100mw is delivered to Ninawa’ governorate. An additional 150mw will begin to be delivered to Ninawa’ in October 2005. • Our Community Action partner for Ninawa’ governorate has completed 47 projects were completed worth $1.7 m and has 51 projects are in progress worth $1.34 m. The projects vary from school rehabilitation to rural road development to civil society strengthening to community health initiatives. These CAP projects are undertaken in collaboration with the communities they are intended to assist and are contingent upon the community’s financial or material contribution. For example, USAID paid for 8.8 km of water pipe to connect a community of 16,000 people in Shinjar district to mountain spring water. • USAID’s local governance program made $1.5 million in grants for rehabilitating Mosul’s Central City Park, UXO removal, repair of Governorate road maintenance vehicles, and technical assistance and repairs to the Ninawa’ Water Supply Department. • USAID has made 242 small grants to communities with a value of $13.7 million in the Governorate of Ninawa’ for community rebuilding, short-term employment such as debris removal and irrigation canal clean-ups, seminars to promote women’s participation in the elections. For example, in three villages near Mosul, USAID granted funds to repair water supply systems, install new water storage tanks, and extend pipelines to benefit 3,900 people. • The State University of New York/Stony Brook and the Universities of Chicago, Boston, and Oxford are partnering with Baghdad University, Al Mustansiriyah University in Baghdad and the Universities of Basrah and Mosul in the areas of Archeology, Library Refurbishment and Environmental Health Research. • Jackson State University and the Mississippi Consortium for International Development (JSU/MCID) are partnering with the Universities of Mosul and Dahuk and the Nursing Institute/Dahuk to work on the replacement of destroyed equipment and textbooks, retooling the faculty, re-establishing the institutional viability of the university, and expanding inter-university relations. • The University of Hawaii College of Agriculture and Human Resources is partnering with University of Mosul Hamam al Alil and University of Dahuk Program to improve academic programs, laboratory and research facilities, and administration in the agricultural sciences. USAID distributed 33,911 school kits to 163 schools in Ninawa’ Governorate in February, 2005. And we have rehabilitated 173 schools there. Additionally, our education program there is establishing four model schools which will serve as examples of high quality teaching and learning. Infrastructure projects managed by the embassy’s project and Contracting Office PCO in Ninawa’ governorate include 34 schools, 19 water distribution, 9 trains stations, the tower at Mosul airport, 9 clinics, 2 hospitals, 9 fire stations, 18 electric substations. Going forward, we are looking at new ways to address the complex issues in Iraq. This includes forming public-private partnerships. To this end we have reached out to companies, associations and private individuals who want to build a strong future for Iraq. We view the Iraqi-American community as an important partner. We know that you are eager to assist and in response we have developed a tool that allows you to contribute directly to local development projects in Iraq. Together with GlobalGiving, a leader in online philanthropy, we have created a website, www.iraqpartnership.org that allows you to read about USAID programs in Iraq and confidently donate to those that interest you most. You can help put desks in classrooms; provide water pumps to farmers; and improve medical services throughout the country. Iraq Partnership is one way for you to support America’s efforts in Iraq but I believe that more substantial contributions are possible. Working together, we can develop innovative ways to help build a stronger, more prosperous and democratic Iraq. (ZNDA: Mosul) She was running errands after leaving the local internet office when Anita Tyadors, 21, an Assyrian college student, was murdered by roaming thugs in the Zohoor region of Mosul, Iraq on August 5, 2005. 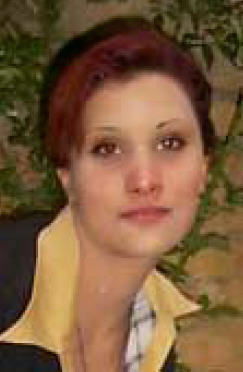 Ms. Tyadors was targeted by Muslim extremists because she studied and spoke English and wore jeans. She had just exited the local internet office and was making her way back home when three cars abruptly stopped in front of the building, blocking her way. An unspecified number of men rushed out of the cars and chased Ms. Tyadors with the intent of assaulting her. She ran very fast. The assailants fought to keep pace, but found themselves under a barrage of foul language and spit, much of which landed in their faces. began stabbing and knifing her. The assailants bludgeoned and gored her and then shot at her lifeless body and finished the job with a resounding final bullet to the head. Her broken body was discarded and left in the streets. searching for her at local hospitals and in the streets. They found her on the following Sunday. Zinda Magazine thanks Ms. Susan Benjamin (Canada) for contributing to this report. (ZNDA: Mosul) Last week in Mosul, Iraq, Major Ahmad Abdullah Al Jabouri of the Mosul General Police Directorate said that his department has arrested two members of the most radical Islamic groups called the "Muslim Land and Mosul Disinfection Group”. The group specializes in the manufacturing of the remote control explosives. According to reports the two arrested members had in their possession the maps of targeted locations for future operations. The Mosul Police also found lists of Christian and Yezidi persons targeted for assassination or execution by this or other specialized groups. The two criminals confessed that their group has conducted 23 assassinations and 11 explosions of cars in Mosul and its suburbs. They also confessed that their team wrongly killed a Muslim family of a husband, wife and three children one of whom was an infant. On 2 June 2005 they attacked the family car with heavy fire thinking that the car belonged to a Christian engineer working in a Mosul pharmaceutical companies whose name appeared on their list of unbelievers and traitors. Major Ahmad Al Jabouri confirmed that the said engineer was previously exposed to assassination operation and survived last year, but he disappeared with his family and he is believed to have escaped with his family leaving his business and home. His brother-in-law was one of the victims of the explosions in the churches in Mosul on 1 August 2004. Concerning the protection of these individuals Major Al Jabouri excluded the possibility of providing special protection for every engineer and considered this matter impossible. He noted that such a task requires the recruitment of an army of investigators and police enforcement. An officer of the Mosul Directorate who preferred not to mention his name commented: "In this phase I believe that it is very wrong to deal with any of such criminals in a civilized way, because they only understand their language that is killing and the revenge language. They allow themselves to terminate a Muslim innocent family and calmly holding Koran they read for their souls in the Prophet’s Mosque in the same city." Zinda Magazine thanks Mr. Jihad Yousif for his assistance in the translation of this article. On the 25th of August, and after long waiting, Iraq's permanent draft constitution has been declared. On the 15th of October it will be put forth to general referendum and ratification by the general assembly. As a matter of fact, the declaration of the draft constitution was a great disappointment and blow to the ambitions of out Chaldean Assyrian Syriac people as it completely disregarded the unity of its national identity and has split them into two people. The preamble of the draft constitution has intentionally ignored Iraq's history, civilization and its many symbols. No mention of the Sumerian, Babylonian, and Assyrian civilizations of Hammurabi and Ornamo's code, of Sargon the Akkadean and Nabukhad Naser Ashour Banibal and Sanharib and many others. No mention of our people as being one of the components of Iraqi people alongside the Arabs, Kurds and Turkmen, further, no mention of Christianity, Sabeia and Yezidism as religions that existed and preceded Islam in the area. Furthermore, article 135 of the draft constitution has come as a poisonous dagger dividing our one nation into two people by inserting the dividing conjunction AND between two of our people's principle designations Chaldeans AND Assyrian, aiming at showing them as two separate independent and different people. In fact, this article comes to falsify non-negotiable historical truth and reality about the unity of our people as one nationality historically, culturally, linguistically, in spite of the fact, that the three known designations Chaldean, Assyrian, Syriac has been used during the course of its long history. As a matter of fact, the passing Iraqi regime as well as the transitory constitution both did our people more justice than the this draft constitution. In 1972 a decree was issued recognizing the unity of our people in terms of its identity, culture and language. Moreover, the transitory constitution, adopted by the Iraqi governing council under the supervision of Bremer, approved of a unified name for our people, the "ChadloAssyrian'' designation was agreed upon by all religious, cultural and political institutions of our people during Syriac, Chaldean Assyrain general conference in Baghdad held between the 23rd and 25th of October 2003. We, in the Assyrian Democratic Organization, consider the draft Iraqi constitution, with what it involves of plans for partitioning our people, a flagrant violation of its rights and reality in his homeland, Iraq. It is an open plot aiming at weakening its national identity through establishing and encouraging separation and division amongst them, a condition that would lead up to a feeling of frustration, despair and prejudice as regards the fulfillment of their legitimate national aspirations in the Iraq of tomorrow, and eventually would push them to abandon their lands and homes and to immigrate. 1-Head of the religious institutions who have dispatched one memorandum after another to the various relevant authorities in Iraq, demanding that each community and nationality be mentioned by its separate and independent naming. Not only this, but some of them, only few months before the declaration of the draft constitution, completely gave up their nationality and declared their affiliation to the Arab nationalism. 2-The representatives of our people in the Iraqi National Assembly as well as in the constitution drafting committee who having failed in their efforts to introduce the unity of our people in the draft constitution, they should have announced their withdrawal from the said committee as a protest. 3-Some extremist organizations of our people, in Iraq and diaspora, whose extremist and fanatical stance concerning the naming, as well as their memorandums filed to the Iraqi authorities rejecting the unified naming, have helped to marginalize our people's role and break up its unity. Finally, we in the ADO, as staunch believers in our firm national principles, strongly reject the articles and clauses in the Iraqi draft constitution that do great prejudice against our people and its national identity. We further, call upon all our institutions and organizations in the Homeland or Diaspora to work together in appealing to the Iraqi authorities and patriotic forces as well as the international community to do justice to our people. Moreover, we call upon our people to say No to the draft constitution in the generals referendum unless it is amended to include the rights, unity and the identity of our Chadean, Assyrian, Syriac people. 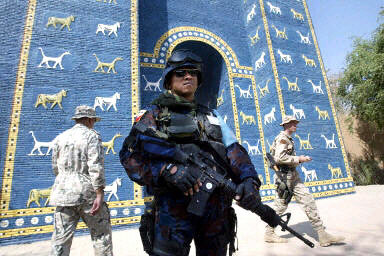 (ZNDA: Babylon) The last remains of some of mankind's earliest cities have virtually disappeared through unprecedented looting triggered by the US-led invasion of Iraq, experts said. Lawlessness and instability have accelerated a process that started in the 1990s but has now reached critical levels, with dozens of archaeological sites plundered to extinction in the past year. And the presence of US-led troops in one of the world's most glorious ancient capitals has not helped either. The ancient people of Iraq, often described as the cradle of civilisation, are credited with inventing the wheel, writing and mathematics and developing a culture and history which has resonated through the ages. Babylon is now a camp for 2,500 multinational troops. "It's one of the major, major tragedies around the world. We have basically lost most of the ancient cities of Sumer," said Chicago-based professor McGuire Gibson, referring to one of man's earliest civilisations which dates back to around 3,000 BC. "There's a culture of looting which has never been on this scale before - it's totally unprecedented. In this last year we have lost more sites than ever before." Gibson, who has been visiting Iraq since the 1960s, said an Istanbul conference on the destruction last month was "shocked" by aerial photographs showing the desecration of sites in the months after the invasion. "Everybody is shocked at what happened. They couldn't believe the pictures we were showing of the damage to the sites," he said, adding that "dozens" of sites had been lost. "These are capitals of early kingdoms. It's an incredible loss," Gibson said. Chiara Dezzi Bardeschi, an Iraq cultural expert with the United Nations Scientific and Cultural Organisation (UNESCO), said the situation had reached a crisis point. Few people within the mainstream American culture even know the Assyrian people still exist. Fewer know anything about the Genocide perpetrated against them. Almost three million Assyrian, Armenian and Greek Christians were murdered by the Islamic Ottoman Turks during World War I because of their ethnicity and faith. The Crimson Field assigns faces and names to the victims of this dreadful chapter of history. It captures the plight of an Assyrian girl, helplessly caught up in the turmoil of her surroundings. Malek-Yonan's work shines a terrible light on an overlooked study of Islamic violence during the 20th Century. It is a must read for any person interested in learning about the personal cost of Islamic Jihad. "After the recent war the condition of sites is really critical," she said. "It wasn't something that was completely new but the dimensions of this process are completely unexpected." The war has also had a direct impact on some areas. Babylon, home of King Nebuchadnezzar, the Tower of Babel and the Hanging Gardens, is now a camp for 2,500 multinational troops. The partly restored ancient city has been closed to visitors after Iraqi archaeologists found American marines had bulldozed a 100 square metre (0.1 hectare) plot of land, above the buried remains of ancient homes, to create a helicopter landing-pad. "You can see mounds of earth on both sides (of the landing pad) and I think it's very big damage," said Lukasz Oledzki, a resident architect employed by Polish troops now based at Babylon. "You can see ancient pottery and bricks on both sides. I know they destroyed something from the sixth or seventh century BC." The damage revelations have hastened the troops' withdrawal from the site, due by the end of the year, but Gibson rejected their argument that they were protecting Babylon from looters. "It's like Vietnam - you have to destroy it to protect it," the professor said. "Having an army sit right on an archaeological site is absurd. They should never have been allowed to do that." He said Babylon's problems were just a small part of a country-wide pattern of destruction accentuated by the war and fed mainly by European dealers working with middlemen in Baghdad, Amman and Kuwait. "I'm told that the world market is depressed because there's so much Iraqi stuff on the market," he said. UNESCO's Bardeschi said Iraq's unrivalled cultural legacy had been hard hit by the war, with the national museum losing about 15,000 items in three days of looting in April 2003. The organisation was spending 500,000 dollars documenting what had already been lost and restore museums and libraries, listing Iraq as a top priority, she said. (ZNDA: Midyat) Assyrians living in Mardin's Midyat district in southeast Turkey have begun to prepare their annual vintage wine, for which there is a huge demand at home and abroad. The villagers are expecting to produce nearly 20 tons of red wine, with most of it destined for export. Yusuf Uluışık, 55, has been making wine since he was 14 and says that a few years ago they were producing wine for their own consumption. “I'll make five tons of wine this year. Last year we produced one ton. We're getting orders already, and I'll make the wine with my 80-year-old mother Peyruze Uluışık. 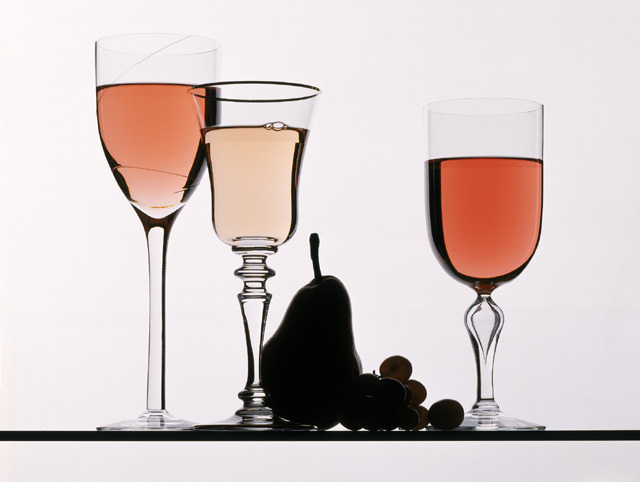 People love our wine because of its good taste." Uluışık added that it is possible to produce one ton of wine from one-and-a-half tons of quality grapes while lower quality grapes produce 1 ton from two-and-half tons of grapes. (Baghdad) Mr. Anmar Romaya, a Chaldean Iraqi living in Baghdad was recently kidnapped by terrorists hoping to extort hundreds of thousands of dollars. Christians continue to be targets of kidnappings and ransom demands in order to raise money to support the insurgency fighting in Iraq. Knowing that Christians have little or no support, they are often targeted by extremists. Mr. Anmar Romaya was captured and tortured by kidnappers and later released after paying a large ransom. Both the Iraqi police force and the coalition troops have done little to stop the financial lifeline of terrorist activities which include extortion. The irony is that terrorists groups are using the kidnappings to raise money which is used to fight the Iraqi government. On Tuesday August 23rd, Anmar Romaya was working in his makeshift arcade, offering young children a semblance of sanity, when insurgents stormed in. Forcing all the young children and workers to lay on the floor they quickly threw a bag over Anmar's head and dragged him away. Hours later the Romaya family receives a call demanding over two hundred thousand dollars or their son would be beheaded. After merciful pleas and negotiations the terrorists demanded eighty thousand dollars in two days or Anmar would be killed. Being that Anmar was the sole provider for the entire family little could be done to raise such funds. According to Regina Salim, a family friend, the kidnappers finally released Mr. Romaya. He was badly tortured and was unable to speak. His eyes and face were swollen beyond recognition. They tortured him with metal rods/pipes. The family in Iraq managed to borrow $30,000 from friends/relatives and when a friend of the family dropped off the money he disappeared. They don't know if he was killed or if he abscounded with the money. They then had to borrow another $30,000. So they are currently $60,000 in debt. The family is trying to sell their home in order to recover their debt, while trying to nurse Anmar back to health, and then leave Iraq. The kidnappers have threatened Mr. Romaya's other family members. The family was hesitant to report that Mr. Romaya had been realeased and urged everyone not to speak of it for fear the kidnappers would return. (ZNDA: Sydney) A draft constitution in Iraq has made Assyrians, the indigenous people of Iraq, into second-class citizens, says the Secretary of the Assyrian Universal Alliance (AUA) in Australia, Hermiz Shahen. He said local Assyrians were devastated and angered by the constitution. He said there were many appeals to the Iraqi governments, including from Australia, to stand for the principles of democracy for all Iraqis. Mr. Shahen said the alliance is disappointed to read that article two, chapter one of the draft constitution, said: "Islam is a main source for legislation...No law may contradict Islamic standards'' and "No law may contradict democratic standards''. "What a contradiction!'' Mr. Shahen said. "How can we talk about democracy when we impose a religion calling all Christians and Jewish 'infidels' or 'Ahil Al Thema', or second-class citizens. Mr. Shahen said Assyrians hoped for a constitution acknowledging those who suffered under the former Iraqi regime, other than the Kurds and Shiaites. He hoped to guarantee seats for his people in the National Assembly and give appropriate representation, "to ensure we no longer remain a voiceless nation forcibly kept as an under-represented part of the Iraqi population''. He said Assyrians call on the international community to demand Iraq accord an "autonomous status to the Assyrians in the north of Iraq''. Administrator Andrew Natsios was the keynote speaker on Friday September 9, 2005 at the "Rebuilding Iraq Conference" in West Bloomfield, Michigan which was hosted by the Chaldean American Chamber of Commerce in partnership with the U.S. Agency for International Development. The conference started with a panel from USAID which briefed the more than 200 participants on the United States' efforts in Iraq. The panel consisted of Ed Fox, Assistant Administrator for the Bureau of Legislative and Public Affairs; Walid Maalouf, Director Public Diplomacy for Middle Eastern and MEPI Affairs; Ross Wherry, Director of the Iraq Taskforce; and Andrew DiCello from the Global Development Alliance. In his remarks Mr. Natsios announced the creation of a website together with GlobalGiving, a leader in online philanthropy, to allow individuals to contribute to local development projects in Iraq. Other major speakers at the conference were Congressman Joe Knollenberg who introduced Mr. Natsios, the Vice President of Iraq Mr. Bahram Saleh and Ambassador Christopher Ross from the Bureau of Near Eastern Affairs at the Department of State. It is with great pride and agreed sentiment that I read Mr. Emanuel Kelaita's article entitled “A wake up call from our long Siesta of Seventeen Centuries” that appeared in the Zinda Magazine date 13 August 2005. His article invokes such strong opinions and feelings, that I felt the need to write this letter detailing them. First of all, long live people like yourself who are not afraid of expressing what is, clearly, the TRUTH. As long as people like yourself and his Excellency Mr Youndam Kana are representative of our community then there is hope for our future. I have always considered myself a good Christian and have been educated in our religions’ teachings, and so it is with this knowledge that I would like to ask our patriarchs, which one of you is following the teaching of Mar Addai or Mar Mari and their great religion’s dogma? Today’s debate about the unified name of ChaldoAssyrain to my mind is like the situation that occurred when all religious leaders gathered in church of Constantinople debating about the gender of angles during which time Islam was encroaching on our Christian lands. Take note patriarchs of our homeland of two very real examples of other religious leaders who support and unify their ancestral lands instead of divide and destroy. Example one is the recently deceased Pope John Paul whose first act following his consecration was to remove communism from his homeland of Poland. Example two is the current Pope whose first visit outside of the Vatican City in twenty-five years was to his homeland of Germany. Are both these examples simply coincidences or should we look to them as examples of religious leaders who use their influence for the good of their ancestral lands. Love your nation!!! When the late Mar Paulis Sheko was leaving Australia after his last visit, I asked him, being the oldest of our patriarchs when will you take our other patriarchs by the hand and unify our nation, his answer to me was when this omta has an army (magdma). Today we have the ADM, but instead of taking this as an opportunity to forge ahead in our dream of nationalism, our churches are dividing and opposing all our steps forward. Finally, I would like say to my omta, wake up to yourselves, don’t let the corrupt individuals use the shield of religion to destroy what may be our last chance for national independence simply because its threatens their stronghold on our nation. Religion preaches LOVE and UNITY not hatred and division. SUPPORT OUR CAUSE OR REMAIN SILENT. In his article regarding Mar Bawai Soro's interview recently on television Mr. Fred Aprim considers people that are against the workings and misuse of Mar Bawai's power as "certain naïve people". I will not go into detail because the dealing and details of my church are not meant for everyone to know. However, I will say that people that take what he has to say and believe every word of it are the real "naïve people". It is obvious that there are problems in the ASSYRIAN Church of the East; however not all the Catholics that are working hard as we speak or even Mar Bawai himself have the power to weaken our church. Not a day goes by without members of our church wake up to the reality in front of us. So please before you call anyone "naïve" open your eyes and think twice about what really is going on around you. The Assyrian Academic Society of Chicago is continuing to offer Assyrian language classes for our community in the Chicago area and suburbs. These classes have been coordinated with Oakton Community College in order to provide an appropriate academic and professional environment for the prospective students. Furthermore, the success of this program will facilitate our future commitment to transition these classes into full college credit classes that will be transferable to other educational institutions. As always, it is highly recommended that you register in advance due seating limitations. Credits awarded are adult education credits. These credits are non-transferable and not applicable towards a degree. Enrollment in these classes is limited to adults eighteen years of age or older. The ideal set forth by the American founding fathers, however, has not been perfectly lived. Division and strife have marred their vision. Slavery and its repercussions nearly split the nation in two a century and a half ago. Abortion, poverty, the economy, and other moral issues today divide people, foment anger, and result in violence. As a people united, Americans are strong. Divided, they are weak. Unfortunately, rift and disagreement are not limited to secular nations. Sin and division have also disfigured the unity that Jesus desired for his followers in the Church. He prayed at the Last Supper that his disciples, his Church, would be one as he and his Father are one. (John 17:21) Yet personal conflicts, theological differences and historical realities over many centuries have prevented that sacred vision of unbroken unity in Christ from being fully realized even to our present day. The same factors have not spared our Nation. Today, we find our people not only scattered but also divided. But aren’t we much more intelligent than to accept the defeat of a mortifying status quo and the ambiguity of an insecure future? Let our purpose be not to lament the dead past, but instead to fashion a living future that promises and promotes the best interest for our people, who are known today by three venerable names: Assyrian, Chaldean and Syriac. Let our aim today be to foster bonds of national unity, and ecclesial communion among the three communities. Here today we represent civic, cultural, educational and political organizations of importance to our ChaldoAssyrian Nation, not only in America but also in the New Iraq and everywhere. Together with our churches, whether Catholic, Orthodox, Church of the East or Protestant, our organizations can promote the common good, protect the human dignity of each person, and fashion that new future of unity we so desperately need. Divided, our resolve is in danger of becoming ineffective and irrelevant, not only for the outside world but more so for our own rising generation. United through federations and alliances, our ties will lend us a common strength to retain and solidify our Nation, preserve and protect our Syriac language and culture, renew and fortify our Christian heritage, so that ultimately we may accomplish all our shared goals. But the question remains, how do we achieve these noble objectives? Before I respond to this daunting question, I wish first to take this opportunity to personally thank the leadership of the AANF, in particular its President, Mr. Alaidin Khamis, for his invitation to speak this evening to this honored assembly. It is a great privilege and an honor for me to share with you, my beloved people, four (4) insights that, in my opinion, will help us bring unity to our divided Nation and cohesion to our scattered people. Organizations that are serious in fulfilling their civic obligation to their members commit time and resources to enhancing the personal character. But how does a non-religious organization build the inner character of the human person? The answer is to rely on the Christian truths, which our faith teaches. At the conclusion of His earthly ministry, Jesus summed up the truth of his message to his disciples in the commandment of love. He instructed them to love one another, even to lay down their lives, as he would do. (John 15:12-13) He taught them that the two greatest commandments were to love God with every part of your being and to love your neighbor as yourself. (Mark 12:29-31) Such love is not just a nice suggestion or a mere cliché, but is ontologically constitutive of the Christian way of life, our ChaldoAssyrian way of life. Loving God and neighbor is our duty, and Jesus makes serving the needs of others a sacred responsibility. This is the most important notion to manifest in all our programs and contributions as organizations and institutions serving our Nation though our members. Weeks before this month's Assyrian Church of the East Synod, Zinda Magazine brings you an investigative article about one of the Assyrian Church of the East's most influential Bishops. The love that Jesus commanded for his disciples is so vivid in his parable of the Good Samaritan, who dared to step across religious and cultural barriers to serve the needs of another human being in pain. This is the perfect example of the united community we so desperately need to foster. The Samaritan did not love the wounded man because he was a fellow Samaritan, hurt or healthy, rich or poor, man or woman, black or white, or for any other superficial reason. But, according to Jesus’ teaching, the Samaritan did so because the other person was his neighbor. (Luke 10:25-37) The priest and the Levite in this parable failed to live up to that simple standard. They failed to communicate God’s love and mercy to someone in need. They allowed divisions, strife and antagonism to stand as the status quo within their society. My brothers and sisters: that, we cannot do. We must convert our hearts, which still remember old accounts of mutual betrayal and mistrust. We must purify our memories that still hold centuries-old grudges. We must transcend all that weakens us to the point of division and indifference. Remember: united we stand, divided we fall. Civic, cultural, educational and political organizations are important everywhere, and especially in the lives of peoples and nations like us who are scattered all over the world. In Diaspora, we do not have the advantage of being together in a local, regional, or national community – in other words, we do not enjoy geographical proximity – and being distant from one another can tend to erode the cohesion we share as a people. The biblical Hebrews, torn from their homeland and sent into the Assyrian and Babylonian Exiles, relied on their language, their songs, their common heritage, their diet, their Scriptures and their faith to retain their very identity as a people. Language, dress, food and drink, modes of worship and other aspects of human life can unite a people and strengthen their resolve, no matter how disparate they are geographically. So can organizations that address man’s civic, cultural, educational and political needs and interests serve to promote unity for the good of each individual and for the benefit of all. What you do and the potential you represent is of vital importance, and you have my deepest gratitude and respect for all you do every day in this cause. To serve our brothers and sisters in this way is not merely a privilege and honor but a responsibility, a duty. May God bless all your efforts for promoting unity among our people, regardless of their designations or affiliations. In order to contribute to man’s higher calling to “do good and avoid evil,” our churches must accept the challenges you have accepted, namely, to stand by your side and cooperate to build for us and for our next generation the living future we so desperately need. I dare to say cooperate precisely because our churches are the “conscience” of our Nation and our organizations are the “will” of its People. Our Nation needs guidance in order to perfect her moral compass. By cooperating together with the churches, each organization can make meaningful contributions to that higher calling. People in positions of authority and power in every church and organization have a very high responsibility to labor unceasingly for our common unity and solidarity. Throughout history many nations have often failed, because the evil of division either goes unrecognized or seems more attractive than genuine unity. Our institutions too have become subject to temptation and sin. Such temptation and sin often deter us from doing, as Saint Paul puts it “the good we ought to do.” (Romans 7:19) It is my heartfelt belief that we, as Christians and ChaldoAssyrians, have in recent years received a call and a mission, both religious and social. Our call is to bear a Christian witness with one another through love. Our mission is to preserve unity through the bond of solidarity. This Christian message of unity among our people is so important because it could baptize our national fervor with the Grace of our faith in Christ. A society built on division, mistrust and hatred is no society at all – a divided kingdom cannot stand. (Mark 3:24) Human society only has meaning when it is built on trust, and compassion. Churches and organizations, therefore, have an historic duty to overcome divisions and isolation. That which is contrary to unity can only serve those who seek self-interest and power. The word “Christian” does not connote divisions or isolation. On the contrary, it entails unity and communion. The words “Assyrian,” “Chaldean” and “Syriac” do not signify hatred or mistrust, exaggeration or self-promotion. On the contrary, they mean sacrifice and honesty, appreciation and compassion, civilization and traditions, progress and evolution. So let us evolve from division to unity, from estrangement to appreciation, from mistrust to solidarity. Let us bring our Nation together by inspiring our youth with the martyrdom of our forefathers and foremothers, who despite every adversity kept the torch of our love for family and nation alive in the tenderness of their faith in Jesus Christ. The social calling of unity promotes the common good and protects the rights of every person. It is not just up to the churches to promote unity, as if it were only a religious concern. It is really up to everyone. It is in unity that the Christian virtues of faith, hope and charity are already being manifested in our midst. Through acts of courage and sacrifice, we must defy the evil of schism and the tragedy of divisions within society, the family, and ultimately man himself! It takes courage to stand up and defy division, especially when divisions have been long-standing and we have gotten used to them. It takes courage to commit time, personnel, and resources to promote the cause of unity and solidarity, especially when many of our people are opposed to change. It takes courage to seek to do the will of the Lord Jesus “that all may be one” (John 17:21), when it will certainly call for compromise and mutual accountability. It takes courage to abandon loyalty to verbal “designations” in exchange for a coherent and integral Nation, whose members are created in the image and likeness of God. It takes courage to embrace a future that is not yet fully known, for the sake of one another. Our ancestors, a thousand year ago, took many risks and against all odds reached the thresholds of their known world only to witness to their Christian faith. Like them, let our dreams and aspiration be the hope of a stronger generation. Like many of you, I know well that we are too great of a people to espouse small goals. And so, on your behalf and mine, I respectfully call upon all our religious leaders from all of our venerable churches to take courage from the Lord himself and an example from our forefathers and begin tearing down walls of separation erected centuries ago within the churches of our One Nation. This is what God expects of them, and this is what we, your people, your sons and daughters, are calling upon you to do! Fortunately, I believe we have that courage. When I look out at you I see indeed the salt of the earth. I see indeed the light of the world that shines before others, if only we will not cover it over with a bushel basket but places it as high in our priorities as we can, to shed the light of unity and Christian love on our brothers and sisters near and far. Tomorrow our country will celebrate Labor Day. On that day we honor the dignity of work, a vital part of the human vocation. Through work the human family provides for the needs of its members: food, shelter, clothing, education, recreation, healing, and the spiritual life. Through work we see to the needs of other members of society, to build up that strength and community that provide for each one’s needs and protect the rights of each person. To labor for Christian unity and the solidarity of our ChaldoAssyrian people is a worthy goal, one we must undertake for the sake of Christ, whose name we bear, and for the people to whom we belong by blood and culture. Let it be known that our labor as churches and workers in many organizations, promoting bonds of solidarity and unity among ChaldoAssyrians in America and throughout the world, does not mean the destruction of diversity or the compromise of equality or the destruction of particularity, but it does mean evaluating every decision we make by the standard of Christ. In other words, we must build our new relations on concepts like: reconciliation & love, mutuality & reciprocity, fairness and justice. It is my prayer that together, we who are members of our various churches and who represent organizations that are civic, cultural, educational and political, will reach beyond every barrier to embrace more deeply Christ’s commandment to love God and to love our neighbor – here in America, in the New Iraq, and in every land near or far. It will take commitment, it will take courage, and above all it will take sacrifice. The good new is: I firmly believe that we really are up to this historic challenge! Thank you for listening so well. God bless this country of America, and God bless our beloved ChaldoAssyrian Nation. Amen. 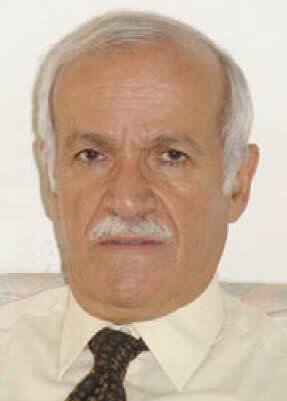 After three years of toils, sufferances & sacrifices in the hurshest of climates, driven by the challenge of portraying the "true image of Sudan", Mr. Paul Hormez Azzo, an Assyrian from Lebanon, has completed the publication of a "Reference Book" about Sudan entitled DIRECTORY of MAJOR COMPANIES in SUDAN 2005, of which he has at last put the final touches only last week. Actually there is nothing like that in any language about Sudan not even in Arabic. 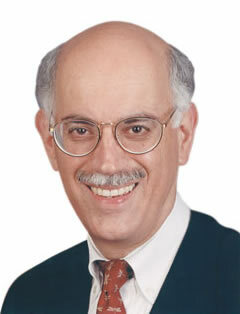 Mr. Azzo may be receiving an "Honorary Doctorate" from the University of Khartoum for above achievement. Zinda Magazine has learned that Mr. Azzo may also be receiving an award of merit from the President. While exchanging views with ex Ambassador of the USA Mrs.Vicky Butler (and wife of previous USA Ambassador to Sudan Mr. Butler), who is publishing a Book entitled "Sudan the Land and the People", as well as with Prof. David Hoile of U.K., who wrote some 12 books about Sudan, both have expressed their high regards for the above mentioned Book. Mr. Azzo's publication is about Sudanese Economy,Trade & Business, and all aspects of Sudan Land, People, Life, Arts, etc... and Business prospects. This publication comes timely with the signing of the (CPA) Comprehensive Peace Agreement on 9 January 2005, sponsored by the Government of the U.S.A. The Book is sponsored by Byblos Bank Africa, Khartoum, Sudan. It is in A4 size shape with hard cover, in full colours of some 460 pages. Layout & Design have been executed by DIA MEDIA , Khartoum - Sudan & Printing shall be done in Beirut, Lebanon in September 2005. Twenty thousand copies will be printed. Distribution shall be extended to 58 countries, beside Sudan, including the U.S.A.
4-States(26) & Major cities, 5-Recent History, 6-Constitution, 7-National Congress, 8-National Congress, 9-Health & Sudan Heart Center 10-Education, 11-Women & Social Development, 12-Telecommunications, 13-Technology Profile, 14-Banking, 15-Insurance, 16-Kartoum Stock Exchnage, 17-Agriculture & Live Stock, 18-Forests & Fishing, 19-Petroleum & gas, 20-Mineral Resources & Mining, 21-Industry, 22-Seaports, 23-Customs, 24-Air Travel, 25- Domestic Commerce:Supply,Distribution & Retailing, 26-Tourism, 27-Information Media, 28-Macro-Economc Profile, 29-Investment Scene, 30-Arts, 31-Peace: Stability, Development & Prosperity. Some 160 companies are each on one full page. Besides, there are some 60 pages of Advertisements. 9 - Sudanese Chambers of Commerce. Paul Hormez Azzo (Cavaliere), the General Manager of Dia Media Center, is a Lebanese citizen and a resident in London, U.K. graduated in Economic Sciences, worked six years at Lombard bank, Beirut, Lebanon. Mr. azzo covered P.R. Manager Position with an Italian and French construction company in Saudi Arabia. From London and Jeddah Offices he made plans and undertook the task of promoting Italian Products and Technologies in Gulf Countries over a period of six years. On the 29th of December 1979, the then President of the Italy, Sandro Pertini bestowed me, and on merit, the Italian Knighthood Title of Cavaliere. In Jeddah early 1980 he set up Labels Printing Press and ran it until it was sold out in 1997. With P.R., printing & marketing experience, Azzo's new direction was to Media and Marketing. From a base in Dubai, Mr. Azzo did a major contribution to the 1999/2000 Edition of "Who is who in the Arab World", covering Gulf Countries and Yemen. Following a couple of visits to Eritrea and Ethiopia, he set up plans for Commercial Directories for said countries: The 1st Business Directory of Eritrea and the 1st Directory of Addis Ababa Chamber of Commerce, (Ethiopia). Simultaneously and challenged by the negative image of Sudan in the eyes and minds of most Middle Eastern peoples, Mr. Azzo landed in Khartoum three years ago and set up DIA MEDIA CENTER (Data, Information and Advertising Co. Ltd.). The abbreviation of the name of the Company, DIA in Arabic means Lights, and, rightly so, he took the Motto "We Shed Lights". With plans of various publications about Sudan, Mr. Azzo intends to promote Sudan, and eventually attract investors into Sudan, now that the Comprehensive Peace Agreement is signed and prospects of Development, Trade and Constructions are a fact. Q: How do you see the relation between Media & Marketing? A: Media & Marketing compliment each other. While Mass Media is mainly represented through TV, Radio, Newspapers, Magazines & recently Internet, all with various degrees of impact about general issue son the public, marketing instead comes also through above means in general. The specialty of Marketing comes mainly through Bill Boards, Leaflets, and recently through websites. Directories & Reference Books are for selected and distinguished readers. The Directory of Major Companies in Sudan 2005 is a Directory and, at the same time, is a Reference Book about Sudan. Q: From your experience, what has Lebanon gained from the relation between the Media & Marketing promotion? A: Lebanon is, par excellence, the Country of both Media & marketing in the Middle East and for decades by now. This is due to various factors: A mix of cultures & civilizations, a mosaic of religions creeds and sects, the geographical location, the Phoenician heritage, the high degree of literacy since over a century taking Lebanese to pioneer the Renaissance in the Middle East, and last but not least, the travels & migrations of Lebanese as far as the Americas& Australasia and beyond, withal remarkable presence in Africa too. Above gives a clear idea as how Lebanon gained from the relations they developed in the region and in the various parts of the world in many fields, including Marketing &Advertising. Lebanon is indeed the Advertising &Marketing core of the Middle East. However, a prolonged war in Lebanon and a growth of satellite television stations posed a real challenge of Lebanese Advertising Industry. Matter of fact, since over a decade Dubai became the regional hub of Advertising & Marketing, yet with large number of: Lebanese, Local &Regional Companies mostly managed by Lebanese, as well as world Advertising Companies where the Lebanese presence is not missed out not at top management as it reaches the partnership level in most of the cases. Lebanese firms have managed to defy the odds. Producing more than their share of creative minds and shaping the direction in the regional Advertising hub. It is estimated that80% of the people involved in the entertainment in the Middle East are Lebanese. Lebanese are pioneers in culture too. Every body in the region knows that you haven't made it in Media & Marketing in the region until you have made it in Beirut. Despite the larger Advertising budgets in countries like Saudi Arabia or the recently emerging Dubai because of oil revenues, the ideas are still band large coming from Lebanese minds. The ideas may be broadcast from elsewhere, but they originate from Lebanon. Conversely, Sudanese Media magnet, Professor Ali Shumo, the chairman of the Sudanese National Press, is not sparing efforts to inspire Sudanese Media representatives with ideas to promote and market Sudan. On addressing the opening session of the workshop of Sudanese Media Challenges, organized last week by the Representative of the Centre of Future Studies, called the Media to give priority to national interests during the current interim period.” We are facing an important interim period and so the Media should carryout the responsibility of shaping political attitudes with regard to self determination of the people of Sudan” Professor Shumo said. Q: How can Marketing promotion help development in Africa in general and Sudan in particular? A: The Marketing techniques are by now academic studies currently given in most countries of the world. Africa in general and Sudan in particular are not an exception. However, it seems that there is always a need to use others experience another countries techniques of marketing, especially when it comes to a attractive ideas and a promotion addressed to the world. To benefit from neighboring countries techniques and experience is quite normal. To resort to the pioneers in the fields of Marketing and Promotion will no doubt be greater importance. Some three years ago, the Management of Al-Iktissad Wal-Aamal and in the person of Mr. Raouf Abou Zaki staged the "1st Investment Conference in Sudan" which I attended. Thereafter, other Conferences about investment in Sudan were run in more than one European city. The aim is to market & promote Sudan. 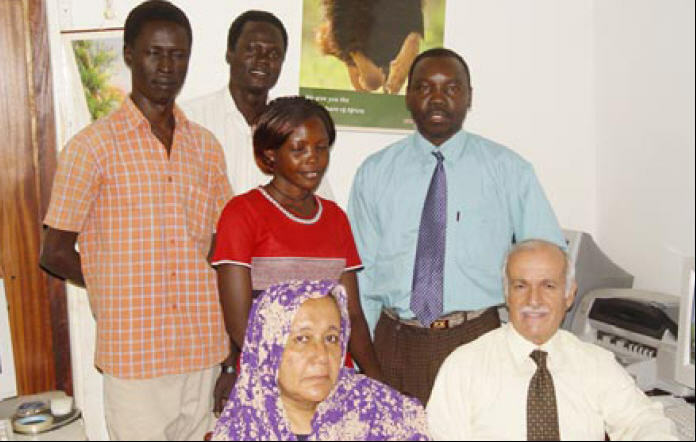 DIA over three years gained proper knowledge of Sudan and holds the techniques of promoting Sudan through addressing a very wide, selected and distinguished readership in over fifty four countries. Q: Give an idea about your Directory and how will it help making Sudan attractive to potential investors? A: Our Directory of Major Companies in Sudan 2005 is a two teams project: One team is composed of Media Experts and the other team is composed of local Professionals in some thirty fields about Sudan. The time it has taken to accomplish this masterpiece of challenging work about Sudan is around twenty-six months. The Main Sponsor of our Directory is Byblos bank Africa, Khartoum - Sudan. The Directory shall be printed in Beirut and some five thousand copies shall be distributed in Sudan by the end of September2005. Similar quantity shall be distributed in 54 countries. However a search about the chances of distribution in the world indicates that some ten thousand copies will follow distribution of the Directory worldwide before the end of 2005.The Book is in three main Sections: Section One is in thirty-two topics about Sudan. Section two is about useful addresses. Section three is an alphabetical Listing of Major Companies in Sudan. The Directory has A4 size shape. Paper is Art and fully colored. With some 160 pages about Sudan in general from History, Geography,...Demography, parliament, Constitution, etc...to Water, Agriculture, Industry, banking, Commerce etc...etc..., said Directory is surely reference Book about Sudan and at the same time it remains as a Directory about Major Companies in Sudan. The companies listed have shown interest to expand activities in import, export and industry through collaboration with counterparts from countries of the world, particularly at this stage of Peace hence Stability, Business and Development.